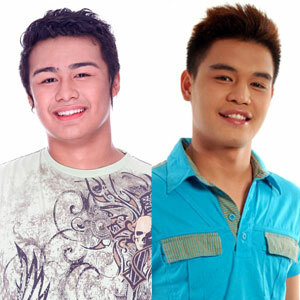 Romeo "Potz" Jalosjos III garnered the lowest votes from viewers this week, making him the first housemate to be voted off from Pinoy Big Brother Teen Clash of 2010. Maichel Fideles had a forced eviction from ABS-CBN’s reality show for not fulfilling his special task. Kuya’s second weekly task "TeenTertainment" was a showdown of the rival teams’ performing skills. Their musical acts were judged by Kuya’s special jurors: Gladys Reyes, Epy Quizon and Vice Ganda. Fifty percent of the votes came from the judges while the remaining fifty percent came from the public. All three judges voted in favor of Team Villa’s performance with a score of 28 points. Team Apartment’s performance paled in comparison with the other team, allowing them to receive only 24 points from the judges. It was a very close fight between the teams for the viewers’ votes. Team Villa garnered 50.27% while the other team ended with 49.73%. Overall, Team Villa won the "TeenTertainment" challenge. It was another damper for Team Apartment. Earlier this week, Team Apartment was visited by a surprise guest, Showtime resident judge Vice Ganda, much to the delight of the teens. Though his visit was short, Vice Ganda gave a short pep talk to them regarding teamwork. Before the announcement of the first housemate voted off from the famous house, Maichel Fidelis bid farewell to his housemates. Maichel was penalized by Big Brother with a forced eviction for committing multiple rulebook violations as well as failing a special task given by Big Brother. Considered "safe" for this week are Tricia Santos, Eslove Briones, Patrick Sugui and Angelo Pasco leaving Romeo "Potz" Jalosjos III as the first teen evictee. For both Maichel and Potz, staying at Kuya’s house was truly unforgettable. Feel Kuya’s "heat wave" as it invades the housemates next week. Catch Pinoy Big Brother Teen Clash of 2010 every night on ABS-CBN.